I have spent my entire life living at the intersection of the Christian and Jewish worlds. My Mom was an Orthodox Jewish convert, my father an Orthodox, later, Conservative Jew. But the day we buried him 50 years later, she said to me “I never felt accepted by his family.” I did some investigating and asked around. It was true. They called her “Herman’s naarishkeit–Herman’s foolishness.” My Mom. Poor Mom. Poor Herman. Real life. It’s now 92 years since they married. And looking back, it should be no surprise that I have spent my entire adult life helping Christians and Jews understand each other and live together in peace. I didn’t plan things this way, but Divine Providence had a better idea. “Intermarriage rates seem to have risen substantially over the last five decades. Among Jewish respondents who have gotten married since 2000, nearly six-in-ten have a non-Jewish spouse, Among those who got married in the 1980’s, roughly four-in-ten have a non-Jewish spouse. And among Jews who married before 1970, just 17% have a non-Jewish spouse” [“A Portrait of Jewish Americans” Pew Research Religion and Life Project]. 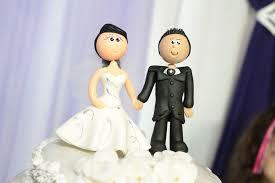 It is likely that almost all of these intermarried brides and grooms imagine, “We’re not religious. We love each other. No problem,” or variations on that theme. But everything changes when the pregnancy test comes back positive. At that point, both husband and wife must face that when they married, they joined two families, and behind those families, two traditions. And all of a sudden, what Junior is going to be and how he is going to be raised, and all kinds of stuff like that becomes a matter for urgent care. Now, let’s get real here. The Jesus of church history has not been the harbinger of peace between Jew and Gentile, that is, Jews and Christians. But the problem is the Jesus of church history is not the Jesus Paul was talking about. He was talking about a more Jewish Jesus, who validates Jewish community structures, Jewish values, and Jewish custom while bringing both Jew and Gentile closer to God and closer to each other. It’s hard to believe, isn’t it? Sounds naive. Sounds like a missionary pitch. I know. I know. But what you may not know is how true it is. Once Yeshua is understood and known for who he truly is, everything changes for the better. It will take a lot of explaining. That’s one of the things we do best here at Interfaithfulness where we upgrade spirituality and relationship for Jews and Christians..
And June 6 we will be doing something that will make our help and resources available to all of you. Don’t you wish I would tell you what it is? I have to think on this matter some. I am married to a non-Jewish woman who has embraced many Jewish elements of my life & has supported me and my messianic endeavors & interest. I can’t think of too many things were her Gentilleness & my Jewishness has really collided. There are areas where there is tension, disappointment, hurts and even wounds that have occurred on both sides but I can’t think of any that have to do with our respective background. I will need to give this some thought. Thanks for sharing and for raising the issue!